Funoldhag: Where Does the Time Go? It's been almost a week since I posted anything - have not accomplished a lot this week but that's really okay since some weeks aren't as productive as others. Going to rehab three days in a row throws me a bit, but merely because I don't get as much done as I did when I was younger and I do lots more fiddling around. I leave a few minutes before one o'clock and get there just a few minutes before 1:15. It's only an hour--and it goes quickly and I think it is doing me quite a bit of good, but the day is pretty well broken up. I usually have to have a little nap when I get home!! Naps are so refreshing! If I were a morning person and could take an early appointment and then have the rest of the day it would be better. However, I am not an early bird. I go three days each week through September, then will go on maintenance which is two days a week. I do love the fact that I am walking on the treadmill for 16 minutes and am doing work on the resistance machines now. I actually really needed this and I want to keep working at it. 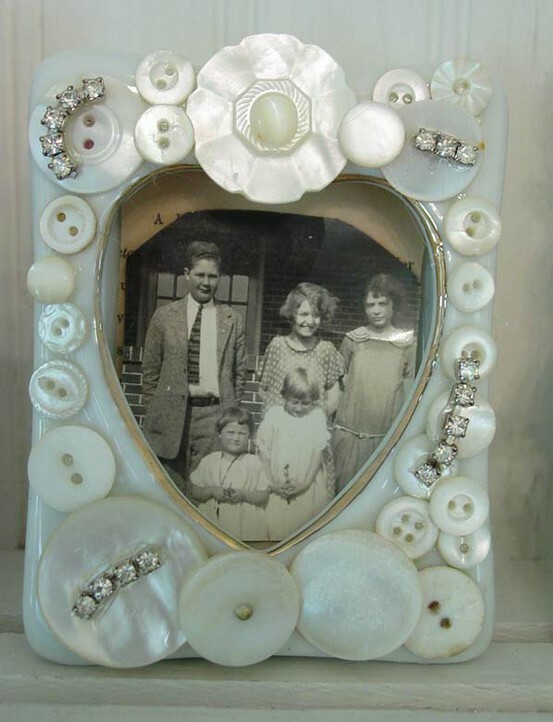 The pretty picture frame above - I did not make it although it could be made quite easily if you have lots of pretty buttons and some sweet old pictures. 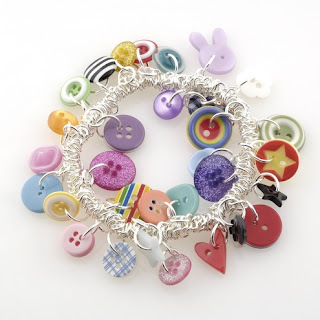 This is one of the pins on my Pinterest board "Button, Button". Since I haven't anything else to show right now, I will post a few cute things that you can do with buttons if you have them and have the urge to create. 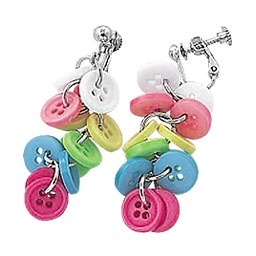 I actually made a pair of earrings like this only with all the pearl finish little buttons. Turned out great and I wear them occasionally. This would be a cute project. I'm certain the bracelet and rings could be found at Joann's or Michaels. I would wear this. 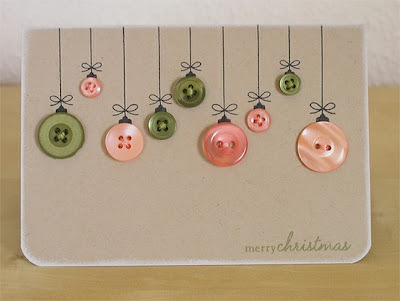 This would be a darling Christmas card for those you would like to do something a little special for. 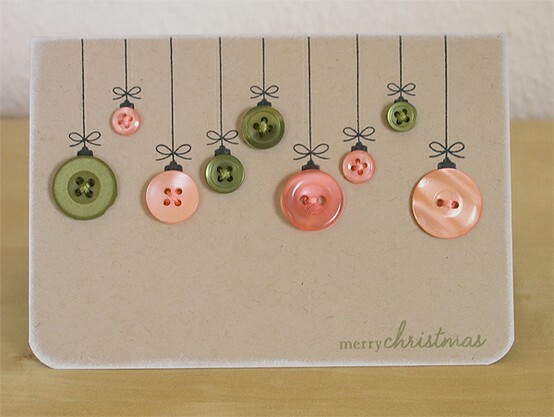 It would be pretty easy to make a mockup of the strings and bows and message, print them out, score and fold them and glue the pretty button "ornaments" beneath the bows. 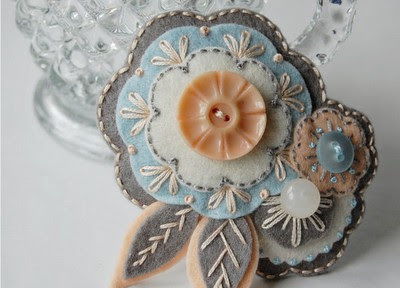 This is so pretty - just takes some felt, floss, buttons and embroidery to make these pretty little doodads. Would be pretty on a purse or sweater. Probably lots of other uses for these. I don't know if these are printed on the pitcher or if they are glued on. Certainly seems like there would be no reason why they could not be glued. Maybe artificial flowers? 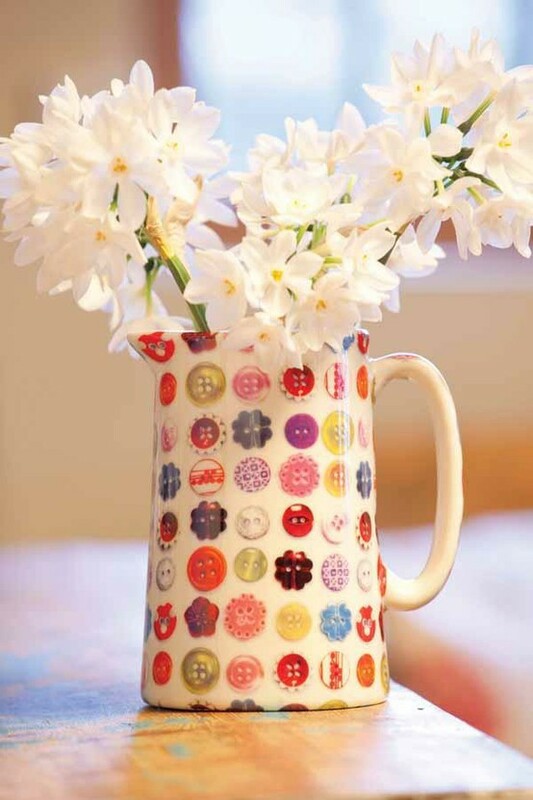 Regardless, I think this is "cute as a button" !! If you would like to check out my Pinterest Boards, click on the button at the top of my sidebar. Go to "Button, Button" and see lots of other pretty things and ideas. You can also check the sources of these items.